Most consumers of online content expect it to be provided for free, meaning its creators must rely on advertising to get paid. AppNexus’s technology powers the advertising that powers the Internet by enabling advertisers and publishers to transact more efficiently, creating value for everyone: customers see more relevant adverts, advertisers reach more targeted audiences, and content creators get more money for their advertising space. AppNexus sells an open, customizable platform through which its partners enable real-time bidding on advertising space: in the milliseconds between clicking on a Web page and it loading on the screen, an auction is held to determine which adverts the person will see on that page. 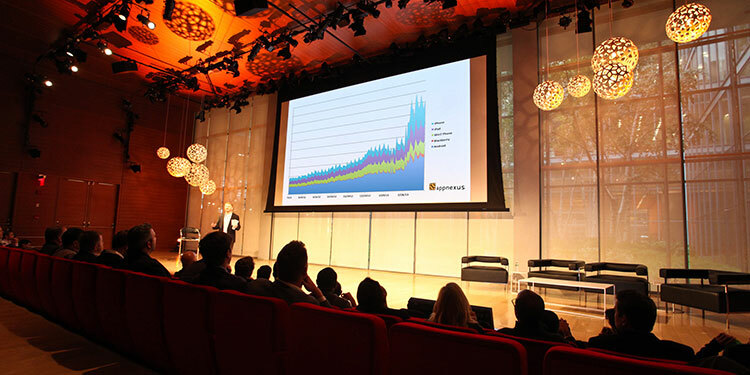 Every day, AppNexus-powered auctions place around 16 billion online ads. By serving such a high volume of ads, the software learns which type does best with which kind of content, and also at what time of day – for example, pizza ads might do better in the evening than in the morning. To be effective, this statistical approach to predictive advertising needs no individual information about users: cookies are needed only for reasons such as checking which ads a user has seen recently. Advertisers can target their ads in myriad ways, or simply pay by results. With a leadership team that includes the founders of the Web’s original ad exchanges and offices around the world, AppNexus powered US$ 700 million worth of advertising in 2012. By making the online advertising system work more effectively, AppNexus sees itself as building a better Internet for everyone.